High Security Keys including ABLOY, ASSA, Medeco, and Mul-T-Lock. High Security Keys There are 4 products. Mul-T-Lock Classic and Interactive keys may be cut in store on a special key cutting machine. 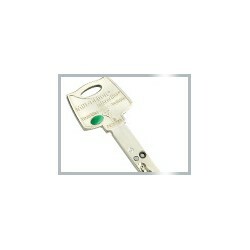 Mul-T-Lock keys require a Mul-T-Lock Key Card that is recorded and given to the customer to hold for their own records. Additional keys can be obtained after the presentation of the Key Card and verification of the customer’s identity and signature. 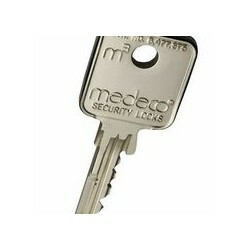 Medeco keys must be cut on a special key cutting machine, and are not available in store. Medeco keys require a card that is embossed with the control data and a signature location. Additional keys can be obtained with the card. The data and signature will be verified and a key can then be issued. ASSA Exclusive and Twin Max keys may be cut in store. 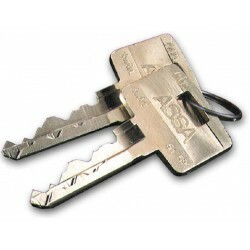 ASSA keys require a valid signature to obtain additional keys. 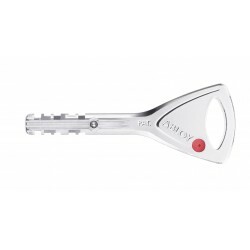 ABLOY Protec or Protec2 keys may be cut in store on a special key cutting machine. ABLOY keys require a Signature Card that is recorded and given to the customer to hold for their own records. Additional keys can be obtained with the Signature Card and a valid signature.